A recent peer-reviewed study comparing health outcomes of vaccinated and unvaccinated children, provisionally published in a journal of public health and assigned a DOI number (a digital object identifier given by publishers to identify content and provide a persistent link on the internet), found that completely unvaccinated children have less chronic disease and a lower risk of autism than vaccinated children. According to the abstract, the team of four scientists found that completely unvaccinated children were significantly more likely to get chickenpox and whooping cough but significantly less likely to suffer from ear infections, pneumonia, allergies, and brain or central nervous system disorders, including autism. In this investigative report, Dr. Jennifer Margulis interviews medical doctors, health experts, and parents, parents who have both vaccinated and unvaccinated children, confirming the conclusion of this new study that unvaccinated children are generally healthier than vaccinated children. I feel there are so many factors involved in state of health - heredity, diet, environment, exposure to other children - that it is premature and irresponsible to encourage parents to resist vaccination. The data given on premature birth babies is just plain deceptive. It is a given that premature birth causes many health problems in infancy and early childhood. Also, breast feeding can most certainly help babies with naturally imparted immunity. Also, unvaccinated individuals are a public health liability in that they facilitate the spread of common infectious disease in the populace. I suggest a more sensible diet than Cheerios and sugar, more outdoor play, and a whole lot more enrichment from parents than appears to be common with dual income family situations. 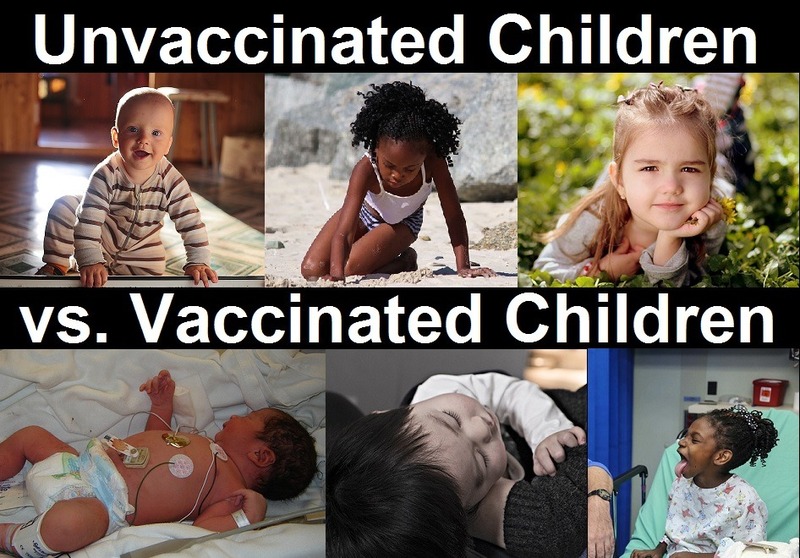 Throw rocks if you like, but several generations of humans alive right now have been fully vaccinated without autism or other significant health consequences. Wow. So there is allegedly a single study, which you claim exists, but no actual evidence that it exists. One single study out of --- what hundreds?? Tens of thousands??? And we should believe you because??? News flash... I have aspergers. I am 70. I had no vaccinations, though I did have measels, chicken pox, and almost every other childhood disease one could have. I notice that you do not mention polio. Nor do you mention the number of children dying from diseases today compared to when I was a child. Maybe you should ask a mother if she would prefer her child have encephalitis as opposed to autism? I could go on, but that would mean that I expect you to have passed an upper division science course, and have a basic knowledge of statistics. Franklu, I think that vaccines should be voluntary. If your child dies from a preventable childhood illness, well then you get a darwin award. http://www.darwinawards.com/darwin/ As the recent election has shown we already have way to many stupid people, and it would be nice of such would remove themselves from society. If your infected child gives a nasty disease to some person who could not be vaccinated for any of many health reasons, then you are responsible, personally, for their medical expenses. And if said person dies, you may find yourself being charged with involuntary manslaughter. For some reason I don't see the link to the actual study. Would you mind directing me to the appropriate place? Thanks! Hi @charotte, there isn't a link to the study, as stated in the article: "The study I cited earlier passed the rigorous peer-review process and had been accepted for publication. But just a few days after the abstract was posted on-line, it was pulled by the journal’s editor without explanation." interesting that link was pulled. I'm really curious to see the link to the original study too! This is a great post and I'd like to share it with others but bc this is such a controversial topic for many, I wish there was a link to the study. Please let me know if you find out any more about how to find the original study. Thank you!!! You mean, this article that was pulled? I saw a good video on the subject. It doesn't surprise me that yet another study goes missing in the media. The truth, once revealed, will cause many to be very angry at those who perpetrated the lies and harmed children.